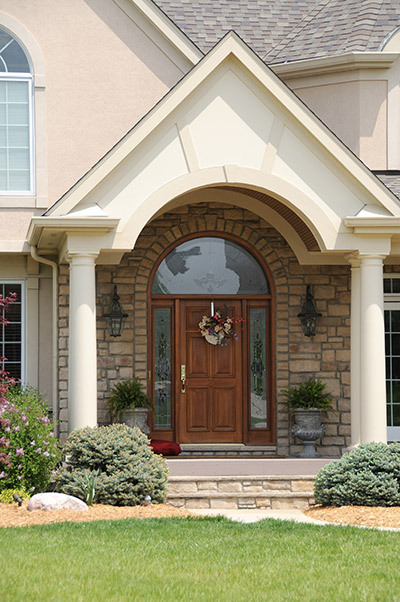 Are you considering a replacement front door? 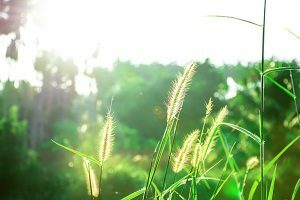 They can improve your home’s energy efficiency and curb appeal. However, you won’t experience any of those benefits without proper front door installation. 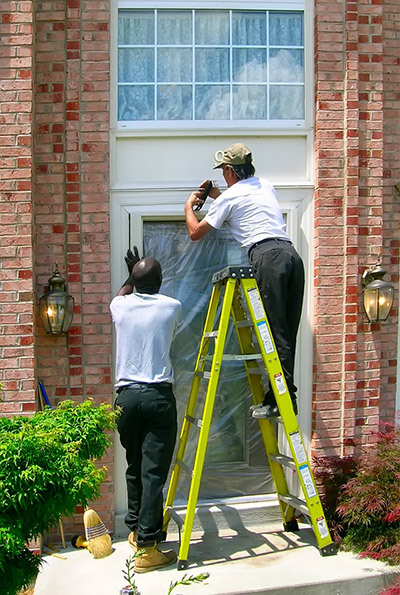 The installation process is just as important as the replacement front door itself. When your door is incorrectly installed, you’ll feel drafts and it’ll detract from your home’s overall look. Our guide will show you everything you need to know about getting your front door installed in Chicago. The key to getting your front door installed the right way is making sure the entry way and replacement door are measured properly. One mistake in measurement may cause gaps between the door and its frame. This will make your door less energy efficient because drafts will sneak into your home. Save yourself the energy and make sure the measuring is done right. A reputable front door installation company will handle the measuring for you. That way you know the measuring is done right and they can provide the proper front door for your home. That’ll take the stress out of your replacement front door project. Before starting an installation of a replacement door, the old one has to be removed. There are several steps taken by a professional door installation team in order for the it to be removed without damaging your home. First, the trim around the door must be removed. Using a hammer and pry bar, a door installer will lift and pry the trim off of the wall. If your trim isn’t removed carefully,your walls or your home’s exterior may be damaged. Once the time is removed, the door hinges will have to come off. An installation team can do this without damaging your door and you’ll be able to use it somewhere else. With a large nail and hammer, they’ll remove the pin from the hinges. After that, your front door should slide right out. Now that the door is removed,the hardware can be removed. With a screw driver, unscrew the hinges and the lock from the jamb. This can be done more efficiently by using an electric screw driver. The last thing that needs to be done is to cut out the jamb. The jamb is the upright parts of the door frame. To remove them, an installation team will need to use a saw to cut them out. If the jamb is rotted and worn, a pry bar may be used. An installation team will be very careful not to damage your walls. Once the jamb is removed, they’ll make sure the opening is clean and clear of screws and nails. With the old door removed, the front door installation can finally begin. There are several steps a front door installation professional need to take in order to make sure the door is installed properly. A professional door installer will make sure you get the correct size door. If the door isn’t the right size – even if it’s off by a half inch – you’ll have gaps that will allow the outside air into your home. The door may also have trouble closing and opening. Make sure you measure the length, width and height of your opening so you know what size door will fit the opening. Do You Need a Custom Door? Most hardware stores sell pre-cut door sizes. Common sizes are 6 feet 6 inches x 2 feet 6 inches, 6 feet 8 inches x 2 feet 8 inches, 6 feet 9 inches x 2 feet 9 inches and 7 feet x 3 feet. The average thickness is 1 3/8 inches. That being said, not all doors will fit your opening. You may need a custom sized door that isn’t readily available. If that’s the case, you’d need to go with a company that specializes in making custom sized doors. On the bottom of your replacement door, you’ll want to add weatherstripping. A weatherstrip is a rubber strip that prevents drafts from entering your home. It can be found at most hardware stores. 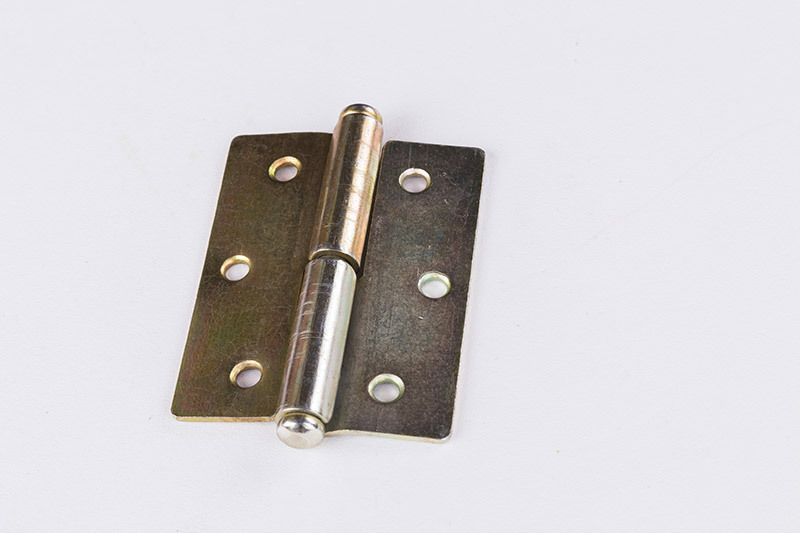 The weatherstripping can simply be screwed into the bottom of your replacement door. It’s finally time to attach the door to the frame. The installer will screw one leaf of the hinges into the frame and the other into the door. Once the leafs are in place, they’ll use the pin to attach them. Your door is all set and operable. It’s time to install the trim around your door. A door installer will measure and saw pieces of trim to accurately fit around the opening of your door. Before installing your trim around your door, make sure it’s the color you want. It may need to be painted. Once the trim is measured, cut and painted, you’ll need to nail and glue the trim to the area around your replacement door. A poorly installed door can be a major issue. If there is any sort of elevation or slope to your floor, there could be clearance issues. This means the door will scrape the floor or possibly not open all the way. Also, if the door or opening isn’t measured properly, there will be gaps where outside air can leak into your home. It might prevent your door from closing all the way as well. This is both a safety risk and will end up costing you a ton of money on your energy bills. The best thing you can do is to hire a professional to make sure your front door installation is done correctly. 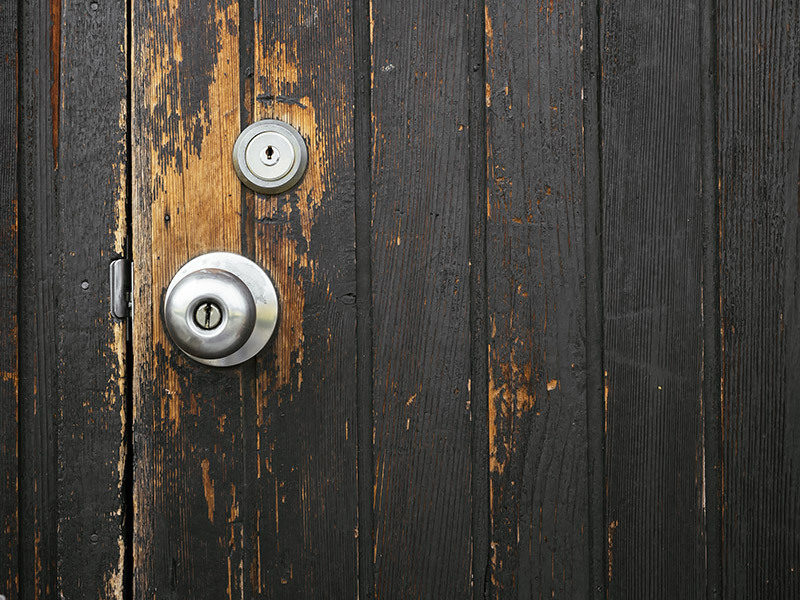 It may seem simple to install your own front door, but one misstep could cost you more money. There’s no margin for error – you have to be perfect. Otherwise you’re not going to experience the energy efficiency or durability your front door can offer. Also, there are many safety risks with installing your own door. You can get hurt using a saw and prying the trim off the wall. There is also a high probability you can damage your walls, door or exterior while doing your own front door installation. Instead, you should hire a professional installation team. They’ll make sure the job is done right the first time. Also, you won’t have the stress of doing the job yourself. Enjoy the peace of mind of knowing that your front door installation is done right the first time by a trusted professional. 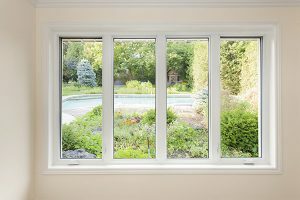 Choosing the right company for your front door installation in Chicago is critical. Not all companies are the same so you can’t blindly pick one and expect the installation to be done right. You want a trustworthy door company with a great track record. For a company to withstand the test of time, they have to have been trusted by many people. They’re able to help many homeowners with their front door projects and gain loyal clients. A newer company won’t have the experience you’d get with a more experienced company. Safety comes first when installing a door. 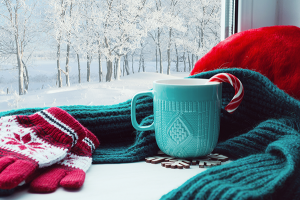 You want your to protect your from home break in and the outside weather. Installation plays a major role in that. If your door is installed properly, it’ll be more difficult to break in and your home will be more energy efficient. The job isn’t done when the front door is installed. Before your installation team leaves, a professional company will make sure they clean up after themselves. They’ll pick up any remaining tools and screws so no one gets hurt. They’ll make sure your home is as clean as when they got there, if not cleaner! 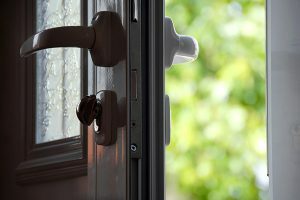 Your door needs to protect your home from intruders and improve your home energy efficiency. Making sure your front door installation is done properly will guarantee that your door can do its job. If you’re thinking about replacing your front door, get a quote from a reputable door installation company.